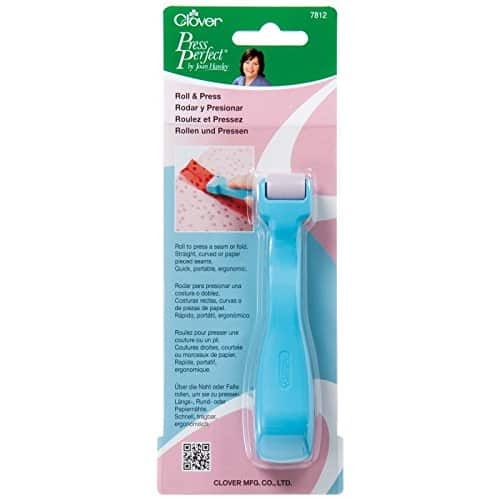 The Clover Roll & Press lightly presses seams so you can finish piecing a block before pressing with an iron. It has a comfortable, ergonomic handle, won’t stretch or distort fabric. It’s a convenient and easy way to press seams open.